Trainer Pop Hardy thinks his heavyweight boxer ‘King’ Cole could be champ…some day; he wants to sell a half interest in Cole to his rich friend Wayne. 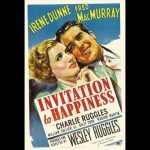 Wayne’s daughter Eleanor is disdainful, but brash Cole manages to get under her skin. Can a society dame and a mug find happiness together? And can she wait for his slow rise to fame? 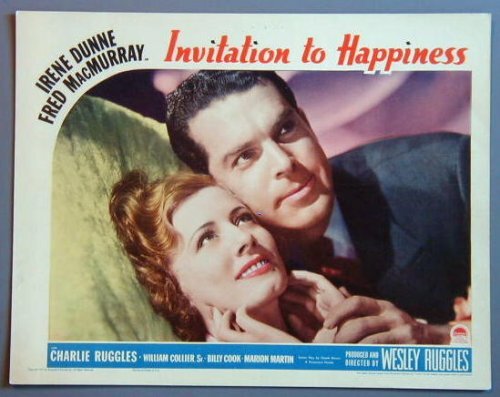 AP28 INVITATION TO HAPPINESS Dunne/MacMurray ’39 LC Here?s a wonderful lobby card from the original release of INVITATION TO HAPPINESS with Irene Dunne and Fred MacMurray. 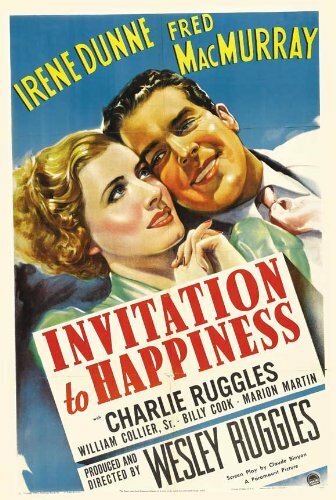 Lobby card is in EXCELLENT condition A lobby card is an 11 x 14 inch placard advertising a movie.